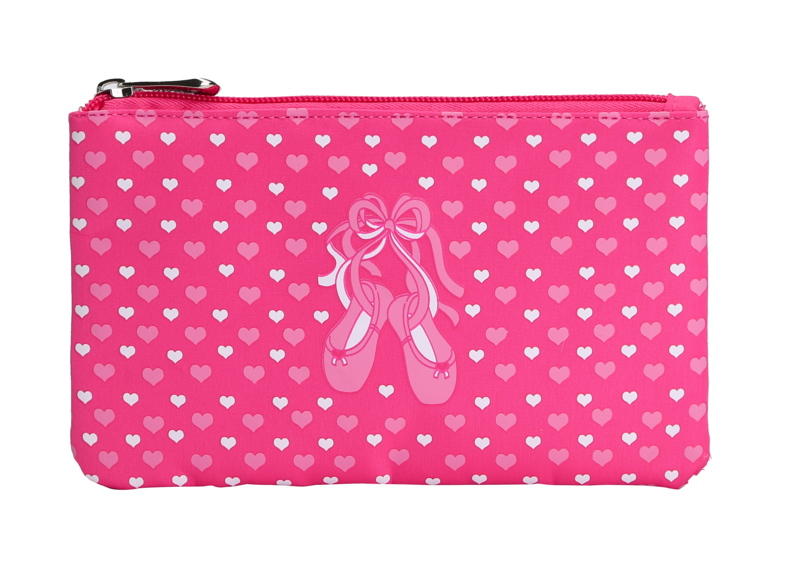 This adorable accessory pouch is a perfect match to our BAL-12 duffle. It is detailed in a hearts and slippers screen print design. 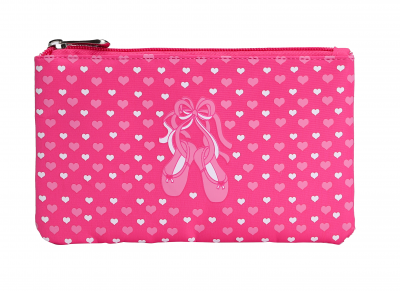 The classic pink colors are sure to please any ballerina! Microfiber material wipes clean with a damp cloth. Can be personalized.